Front entry easy level access and available handicap parking. First floor finished at church sanctuary. Very nice open space of approx. 2,700 square feet. Great lighting, sound system, and raised platform. Lower level finished as classrooms and nursery, approx. 1,750 sq.ft. Separate restrooms and walk out door. Parking at church has extra lot to the north of approx. 1 acre. Could accommodate 40 plus vehicles. Additional 30x60 building/1800 sqft with overhead doors, concrete floors, kitchen and bathroom. 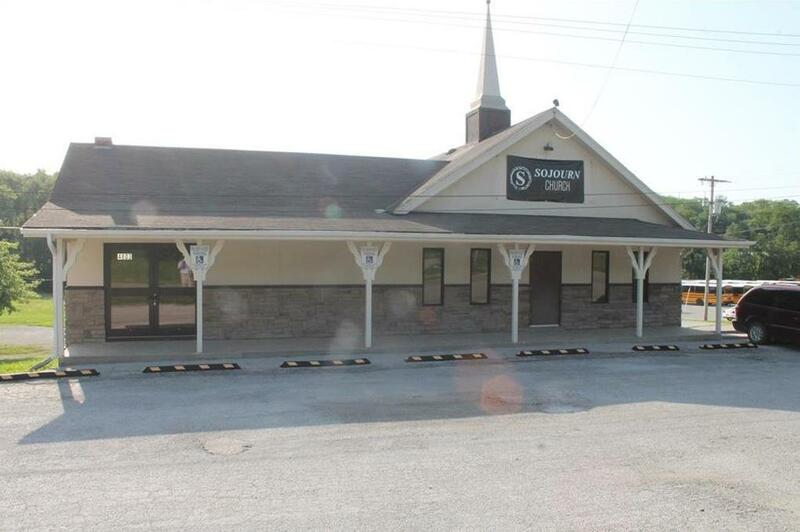 4803 St Joseph Avenue (MLS #2116009) is a commercial listing located in St Joseph, MO. This property was listed on 07/02/2018 and has been priced for sale at $299,000. Listing Last updated 04/08/2019 9:00 PM CDT . Some properties which appear for sale on this web site may subsequently have sold or may no longer be available. Walk Score provided by Walk Score. Mapping data provided by Google and Bing.